WOW, I didn't even know I was up for this, by my stars and garters! As you all may or may not know, the only recent short story I did was Zanth and the Landscape Globe, and I need to revise that one. I DID try several short stories WAY before I got published, and I did publish the novella The Road To Adventure, but I am by no means a short story writer...still, there's something to be said for the exercise and maybe putting something up here or on the website. So here is the meme, copied from Catie Murphy who nabbed from anghara, who got it from swan_tower. I absolutely make no promises that these will/won’t turn into real stories. I usually keep a running tally, but couldn't find it, so I went back and looked at all the ROUGH DRAFTS. That's not at all what the final counts were, and someday I may look at those. The Luna books were a whole lot more. I prefer the Heart books to be 500 pages, a ream of paper...though I am not printing them out anymore. May you enjoy looking back on the past today. When the book is 15K over, then "tell don't show" comes into play, particularly for scenes that are not completely necessary for the book. I did my first one last night for a mystery and Fam bit. Since this was the only time this particular Fam appeared (a fox), I didn't think he, as a character, was needed. It was rather depressing to realize the whole 7.75 page scene could be told in about 3 lines. 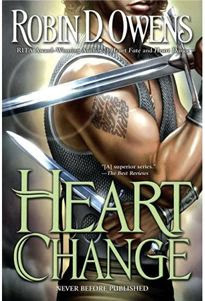 But it will go up on my website after Heart Journey is out -- otherwise there will be spoilers. I don't always keep good track of the scenes I cut, but this time I will. I'm thinking that I will name them, like "Raz and Winterberry - Theater." Today is critique group day and we are on chapter 5. Sigh. May you enjoy all aspects of your life today. This is comprised of the rough draft count of Heart Journey (not counting the proposal chapters done last year), the last 13 chapters of Heart Change, the (final) Luna proposal. I now have a little program that will keep track for me on my itouch. May you be satisfied today. It is about 15K too long. Which means...I will probably be cutting some unnecessary scenes, maybe even a chapter or three. First I'll clean it up and tighten, see how many of the internals (I AM THINKING/FEELING THIS), I can cut. I'm pretty sure that there are far too many internals of the same thing. Then I will tighten more until it squeaks. Then I will see if I still have to cut scenes. If so, they may show up on the website. I will try my hardest to keep the brief scene with Vinni in, though, strictly speaking, it is not entirely necessary. It gives a slight slant on Del, the heroine, and shows Vinni has grown a little, too, but could be cut. So...like...if anything happens to me, this book is done. Reminding you all that this is book 2 of the three book contract with Berkley for more Heart stories. May you all feel accomplished today. Pandora was excellent this am when I was writing a particular scene in chapter 36 (note: I love spirituals and chants and Hildegard Von Bingen so I get Christian religious music, which can be fine if it isn't vocals). A mixture of soft and thumping, solo piano and full rock band. It was good. May the soundtrack of your life be good today. I've been giving this a lot of thought, and speaking with Mentor about it. I think if you have a series character, I, as a reader (and I would do this as a writer) want them to grow in each book. If they "backslide" and make mistakes I still want them to grow and I want them to acknowledge the growth -- say one step back and two steps forward. We discussed J.D. Robb, of course, and mentor is of the opinion that in mysteries the plot is enough so the growth can be smaller. Personally, I feel that both Dallas and Roarke are continuing to grow, so I am fine with that. There's also the regular amateur sleuth mystery series. Many of the detectives in the classics don't grow that much -- Miss Marple, Poirot, Henry Merrivale. But I was reading a very short (3 book) series from a while back and the heroine was a very powerful woman, and she didn't grow, and this might have been why the series (in which the author had just introduced a villain who could return), didn't go any further. So this is up to you as the writer -- but, in my opinion, the character should grow from book to book. May you enjoy your own growth today. I was speaking with my mother last night. Now, I never really spoke to her about my writing before I got my first contract because she didn't quite believe that I was ducking out of family stuff because I was writing. That's just how it was, and I am fine with that. But since then I've occasionally spoken with her about the process. Last night when we had a communications problem, I realized I haven't talked as much about my work as I did to my old roomie who now understands POV. I haven't bought a new book (hardback but on ebook), because of the price. I asked Mom if she'd read it. She had checked it out of the library and said it was a terrible book. When I asked why, she said it was horrible. Now if you tell me a book is terrible/horrible, the first thing I think of is that the writing was bad and the plot didn't hang together or the characters did something really stupid. After flailing around for a couple of minutes, she gave me an example of something HORRIBLE happening in the book "and I don't know why people have to include such horrible things in books now." I admit, what Mom said would go straight to my "horrible" meter, and most decent people's HORRIBLE meter. She repeated several times that it was horrible, and I have a feeling that the scenes were vivid enough for her to remember -- good for the writer. And that she wasn't going to be reading the series any more unless someone read them first and told her it was NOT horrible, horrific. If she'd used horrific, I would have clued in, but why should she? The problem here is that I now (and have for a long time) consider the craft of a book first. I think I was talking to a non-writer friend of mine a while back about another series and she warned me that (paraphrasing), that there were some "difficult moments" in it. That language I understood. Now, my Mom doesn't buy these books. She's an ex-librarian (well, so am I) and a library patron. But I DO buy these books, and she has convinced me (who was considering purchasing it) not to spring for the hardback (or ebook). So, always consider your audience. Mom is probably not the solid and main audience for those books, but she reads and she supports her libraries. I may not be the main audience for those books, but I read voraciously too, and the author lost me as a reader on this one. So I'll be asking around to see what others have to say, and will get a summary off the internet, but I've already missed several of these books and it won't hurt me to miss one more. May your reading bring you pleasure today. I think I've spoken quite a few times about what happens in critique, and at the last few conferences we have had a panel on that, but there several things that are important. Be supportive, even if you don't like the work, be supportive of the writer. THEY like the work or they wouldn't be writing it, something about the story is important to them. Remember it is not your story (started a metaphor that ran away with me so I deleted it). So whether you like the people in it or the way it is going, that's not your call. Do not try and persuade someone that your idea of the story is better. Quid pro quo, they critique you, you critique them. The most important part of critique is not exclamation points or commas, it's the characters' motivation. Take care and enjoy whatever praise comes to you today. Before you turn in your manuscript to an editor or agent make sure that you have beta readers. This advice is for EVERYONE, unpublished to NY Times Bestsellers. I recently read two books from NY Times bestselling authors with choreography problems that I'm certain the authors/editors/publishers thought they caught -- but they didn't. One was a large payoff of an action...the other had a significant bottle roll under a cabinet. The first made the ending puzzling to me when it paid off something that didn't happen, the second had me wondering throughout the rest of the book when the bottle would be discovered...and it wasn't. Check your work and have others do so, too. I met people who didn't know me or my work and will give it a try. I did my own interviewing a character and got some good stuff (and the seminar, set for this am at 8:30 SUNDAY, was attended by 12-15 people opposite the keynote speaker and a good topic that folk would only have to listen to). You will note that a lot of this conference had to do with people, and I'm sure you understand from this blog that I am not much of a people person. But, again, this is my TRIBE, and everyone needs support. One bad aspect. The air conditioning, and other stuff seems to have encouraged my cold to linger. May you enjoy your tribe today. The conference is starting! My workshop is (GROAN) Sunday Morning at 8:30 am. I'm not sure how many of us will be wanting to do writing exercises at that time of day. My notecards need to be retyped since the last time I gave the workshop, I wrote all over them. I will be spending tonight and tomorrow night at the hotel, and I don't have a laptop, so I think I'll be putting posts together for tomorrow and Sunday today...unless I try the itouch. I'll catch up on comments. I am hopeful that I will finish Heart Change next week, and only wish I'd finished LAST week so I could have more fun at the conference. May you enjoy people of your own kind today. There is a new cut scene from Echoes In The Dark under READS, the WORLDS page has a link to Cluny Abbey which I also used for research, the CONTEST is for a softwood box of Jasmine Teabags, and Free Your Artist talks about the Inner Child. Actually, it had bothered me that I HADN'T done the ending, hadn't seen it, this late in the book, so when it came to me, I was glad. And I'm a bit frazzled by the conference and getting ready for it, so I will sign off now. May you enjoy the pace of your life today. I was working on Chapter 30 of Heart Journey and, like I said before, something struck me as wrong. I finally figured out that I had left Del giving the HeartGift to Raz for too late in the book. It didn't feel right for several reasons (which I won't go into here since those would be spoilers). Like most problems I kicked it around and let it simmer and tried to convince myself that it DID work, then I finally accepted that gut was still complaining that it didn't feel right, and changed it. I'm not normally a person who vacillates, but I HAVE come to the conclusion that I am an Ultimate Pantzer. I don't analyze my work for sexual or dramatic tension in every scene. I write and if the scene feels good, it stays. If it feels iffy it may stay or go, depending on how much work it would take to fix and whether I love the scene, and whether I need to cut. So I went back to a scene I thought would work, and the set up was there, of course, and I added the HeartGift scene. Chapter 16. Of course, now I have to thread this through the rest of the book, adding a few lines here and there, but I will do THAT after the rough draft is done and I do my first read, threading the information through. As far as I know, most authors, unless they are very, very specific in their work and nothing changes from their outline to their books, do this process. If you write, get used to it. If you read, next time you notice a thread in a book, realize that it can be a lot of work. May you enjoy the weaving of your life today. I lost some work this week, about a page, completely through operator error (and my wp backup was irretreivable, though that should not happen). I was most concerned because there were a couple of "lyrical" paragraphs in the work. I was very pleased with them. I consider my style "workmanlike." It gets the job done. I don't craft every line to resonate with power. I don't have the time to do that, and I would if I did have the time -- though if you start noticing the words then I've lost you as a reader. So that's my musings about style this am. I'd love mine to be more powerful and lyrical so it leaves wonderful images, but not so different from my own regular voice that you would notice it. ;) Writers are contrary creatures. May you enjoy who you are today. They do this to me all the time, so I did notice a difference on the internet vs. the cover I was sent. It might just be that a metallic overlay changes the color (this happened with Heart Duel), or it might be that they modified the green. It will be interesting to see the book. Tonight at 7:30 pm, Tattered Cover LoDo Denver. Part of my style and voice is using one sentence paragraphs. In one of my latest books (I honestly can't recall whether it was Heart Fate or Heart Change), I did more than usual, so when the time came to cut, those paragraphs went up to the previous one. Varying sentence and paragraph length is important, reading rhythm is important, emphasis is important. I DO look at how many four line paragraphs I have in a row, whether there is a variety, of two sentences and six sentences and even one. But one sentence paragraphs need to be for emphasis, and, like everything, the use of too many will destroy the emphatic statement you want (I want). So if you write, take a look at your paragraphs on the page. If you read, and you think you find something boring, it might be because the paragraphs are all the same size...one reason. May you enjoy your individual style today. As far as I know every author has a crises of confidence with every book. Mine happened yesterday when I started questioning a scene, why were my characters doing what they were doing? Since I've written a huge chunk of book after that scene, I saw the whole rest of the book disintegrating before me. I am at the 3rd turning point and for my first few books that's where this personal crises point hit. But the last few books the crises has come earlier, hanging around the middle. Ha-ha, since that didn't happen I forgot it would. So it snuck up again at the 3rd turning point and whammied me. I spent a while lying on the couch, staring at the ceiling; quite a lot of time messing around on the computer doing not much at all; and talking with the mentor. After consideration of my characters and motivations and how they would act, I think that everything will work the way I thought after all. The next scene (already written) may need to be modified, but the transition pages, the rest of the scenes I've written and the upcoming climax should continue to work. Of course beta readers might not agree, but my job is to finish the book, THEN fix. So I will do better (and hopefully feel better health-wise) tomorrow. May you survive any crises that plague you today and come out stronger.